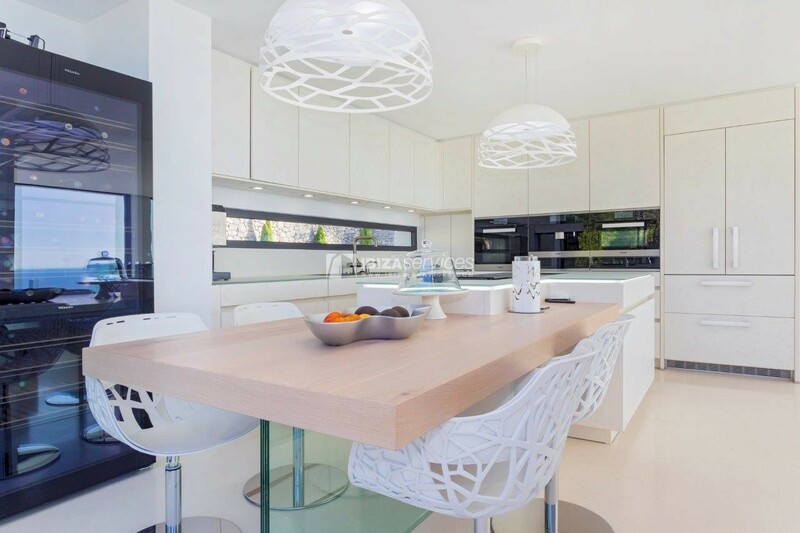 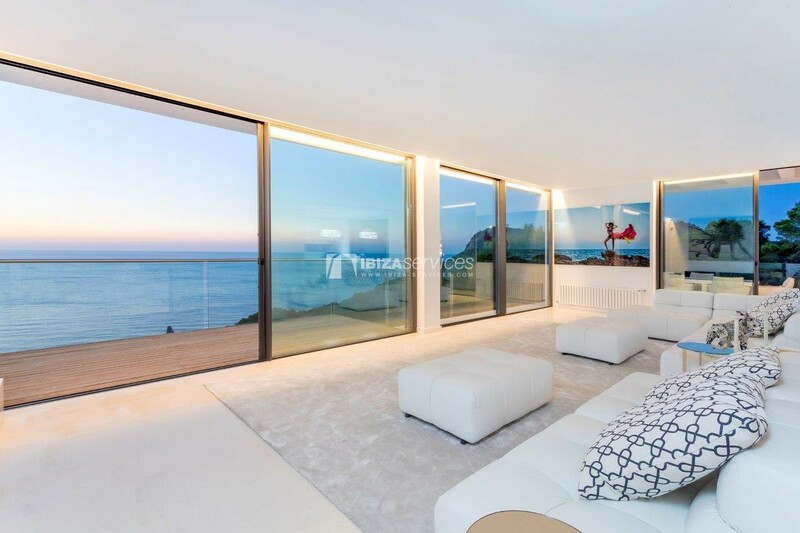 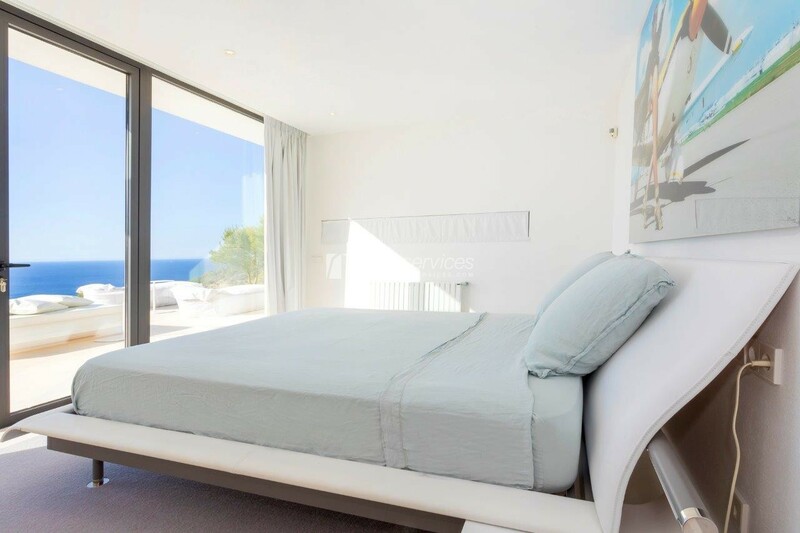 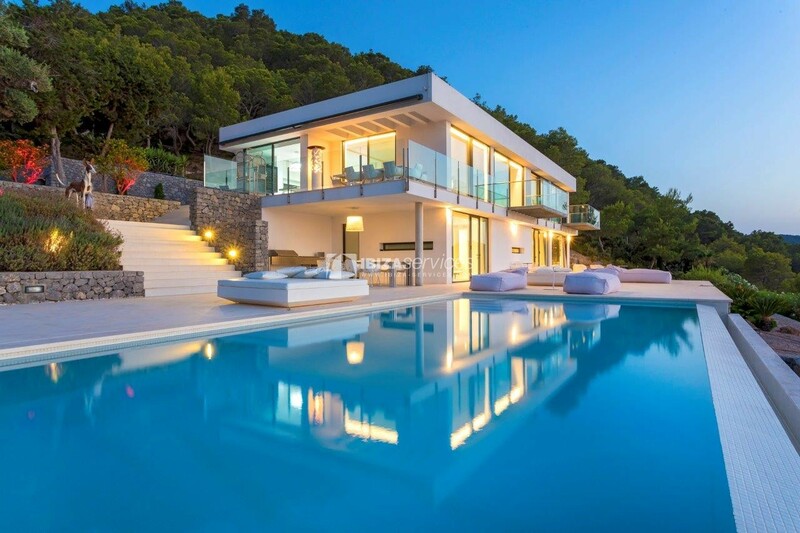 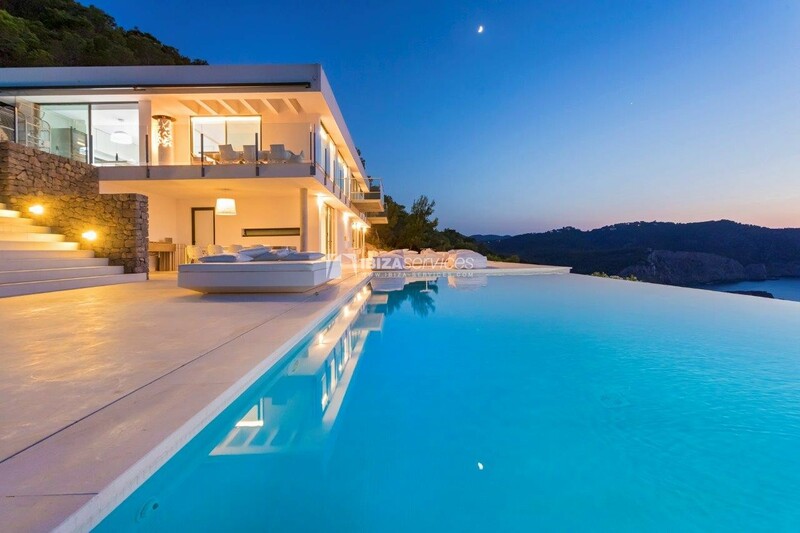 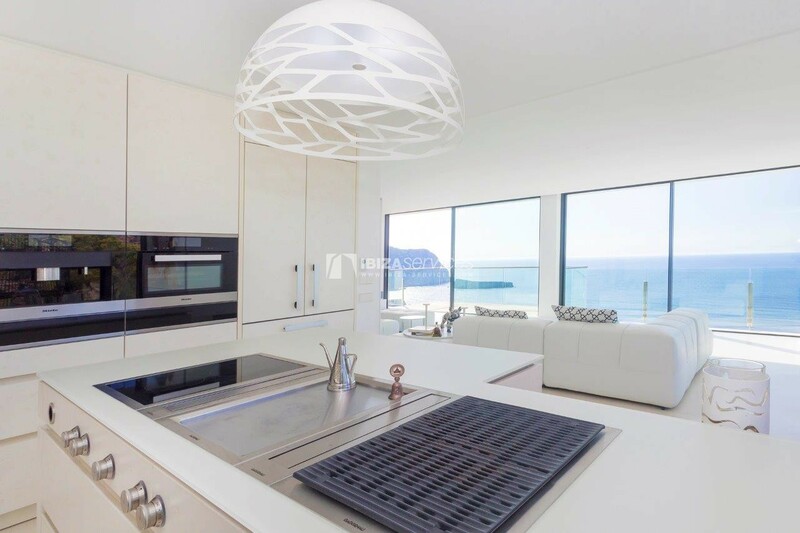 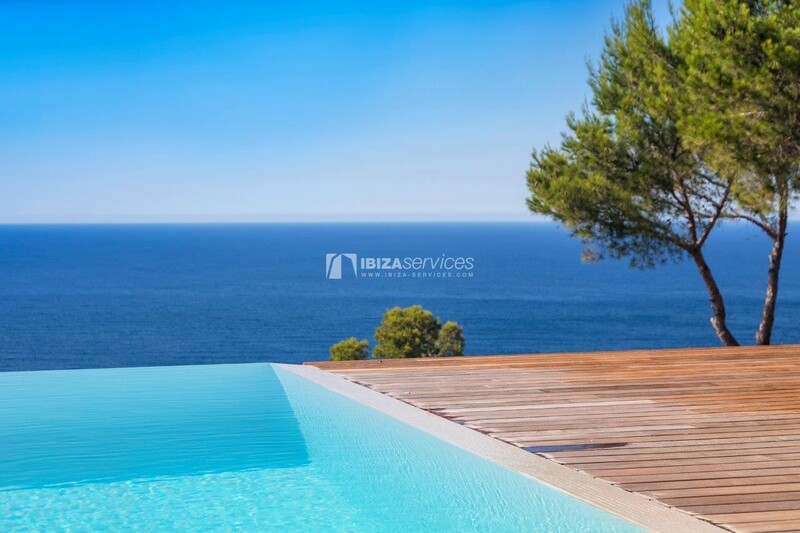 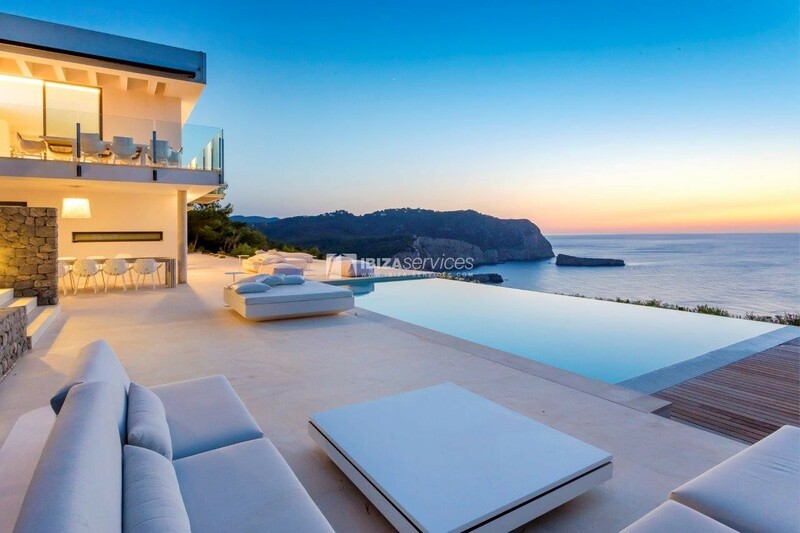 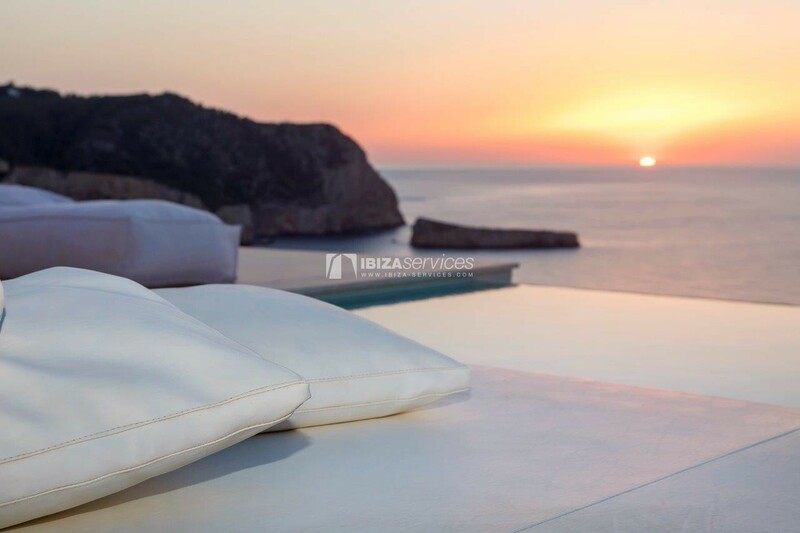 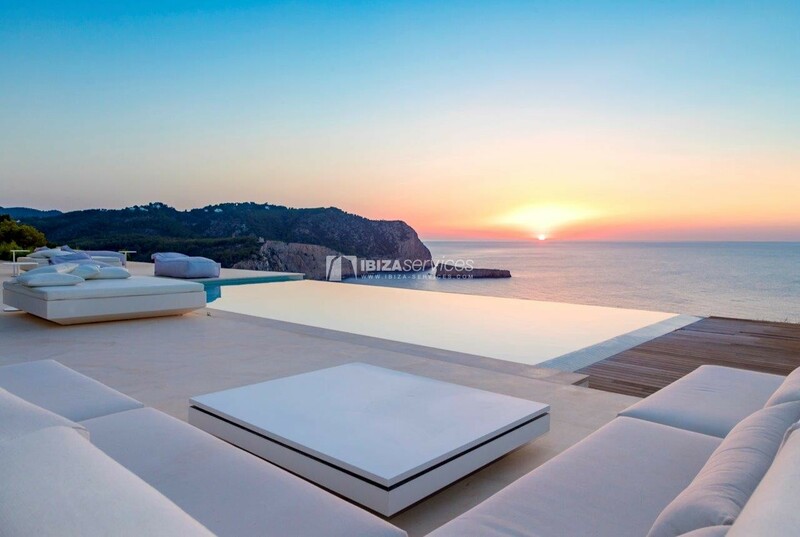 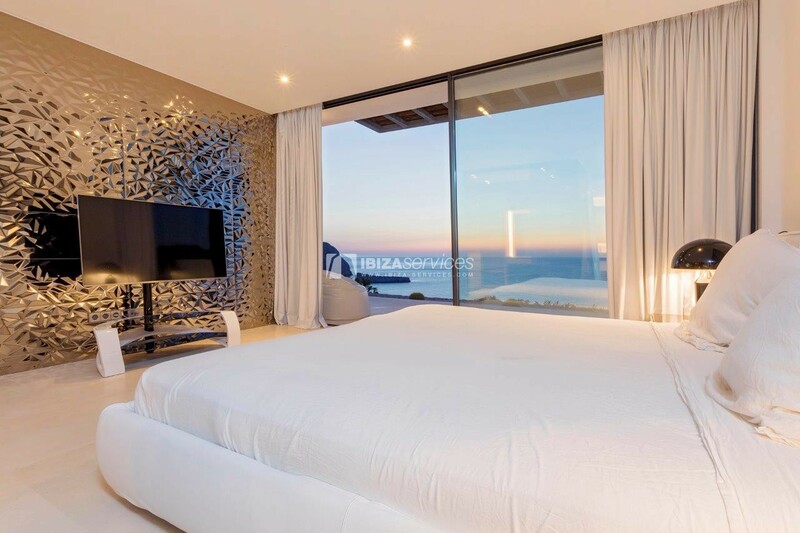 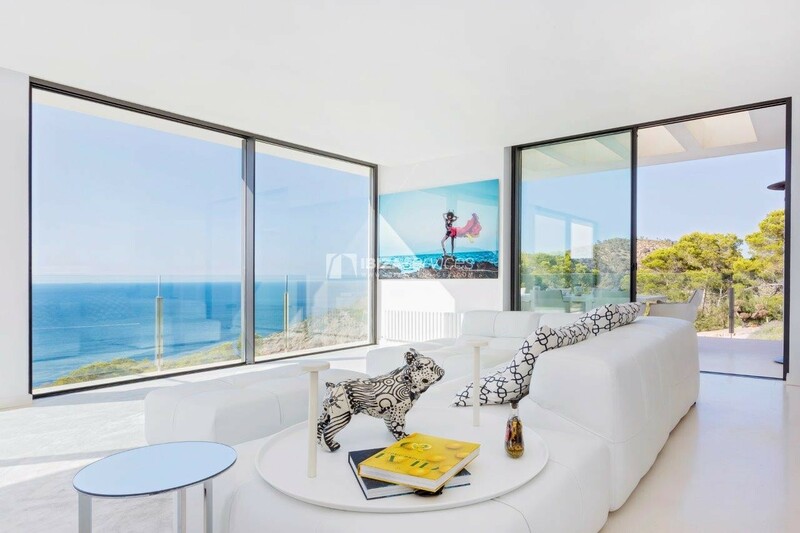 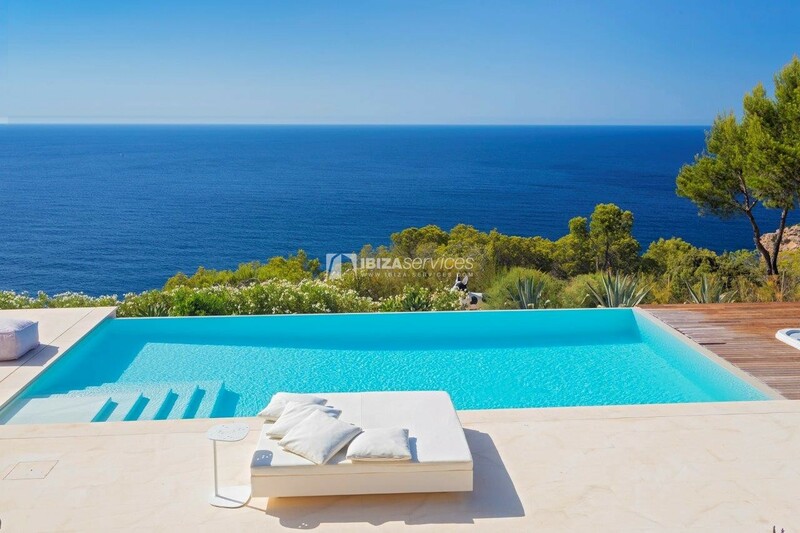 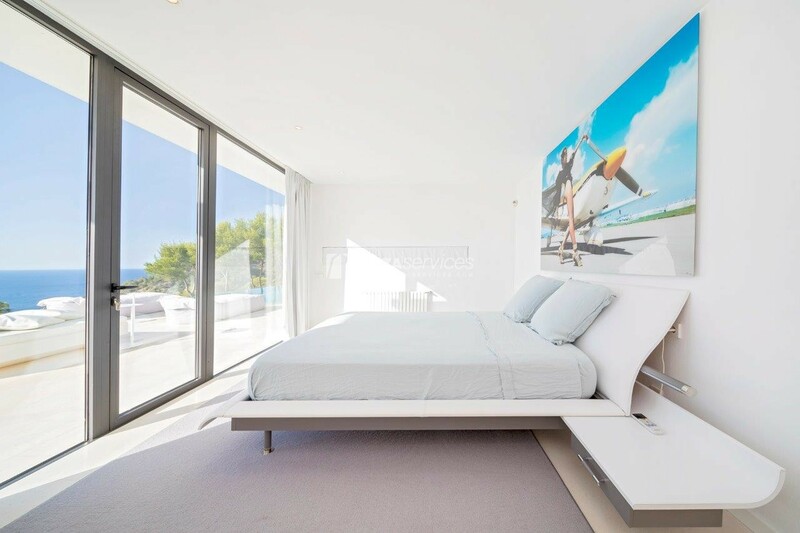 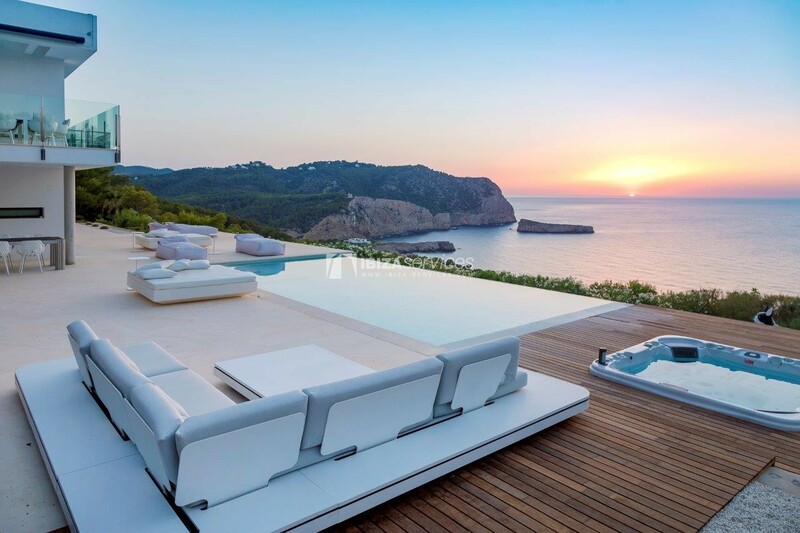 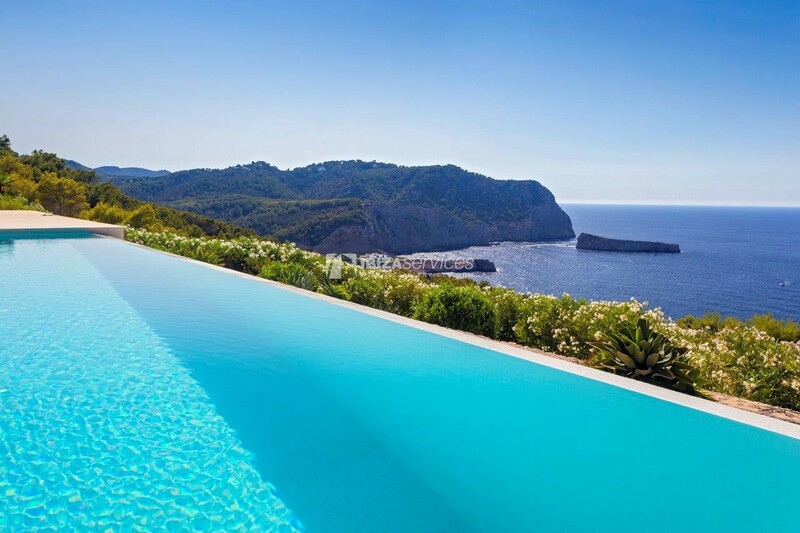 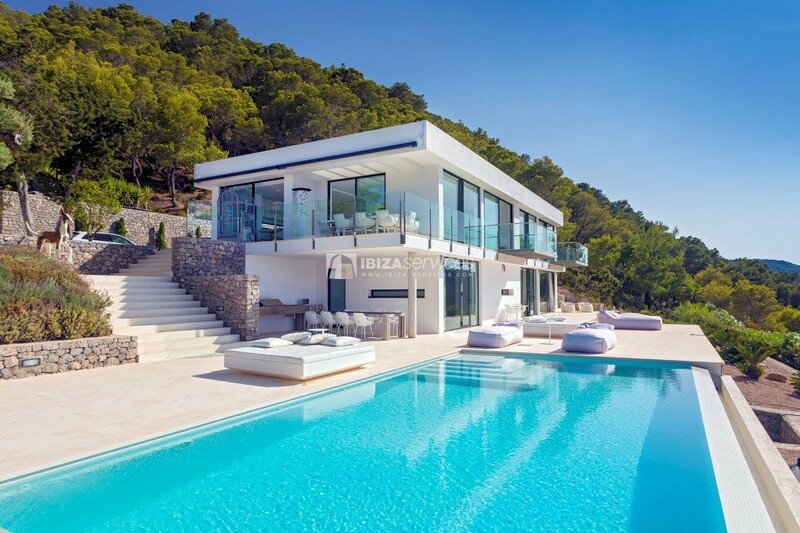 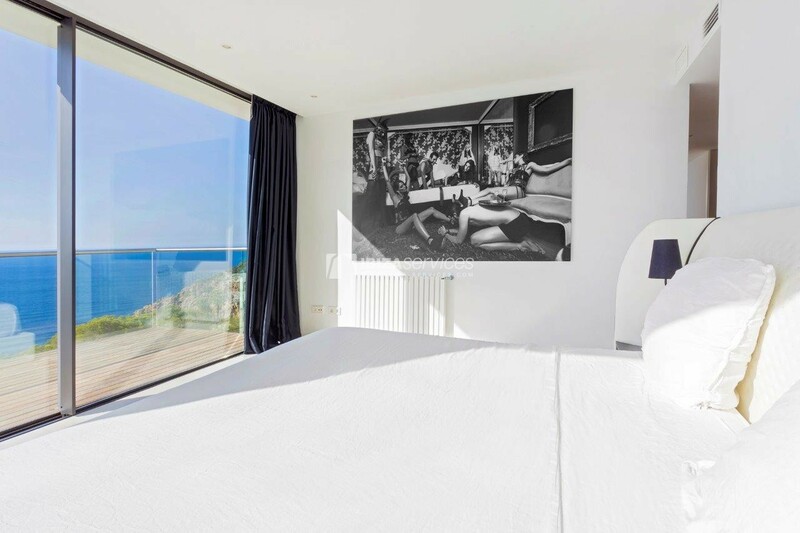 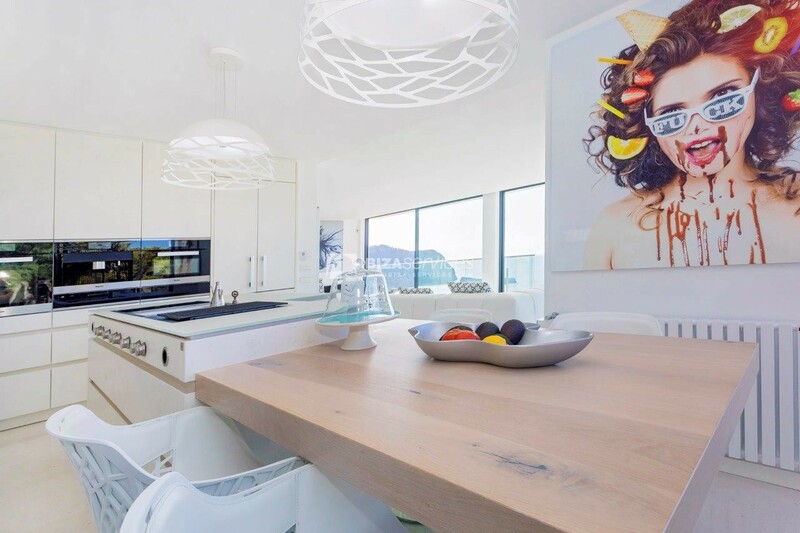 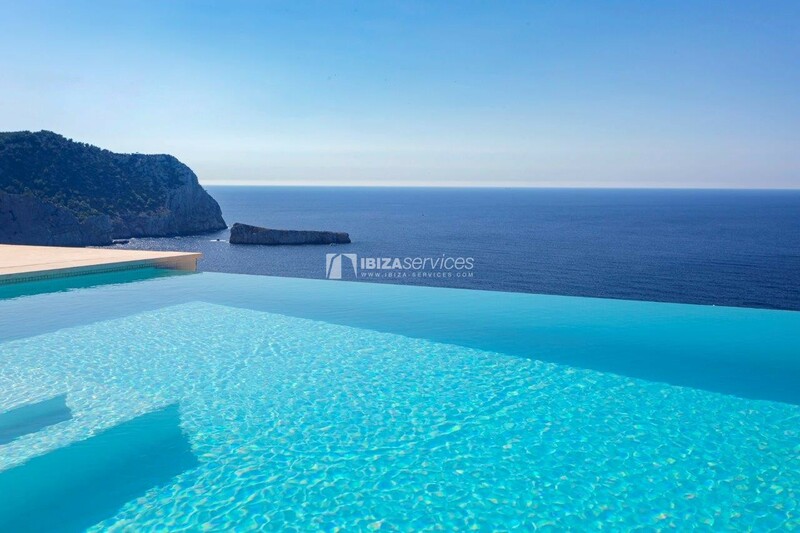 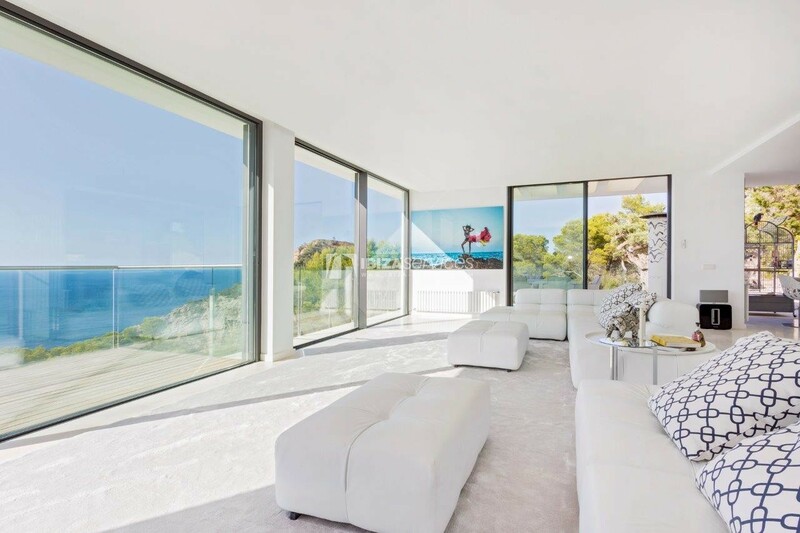 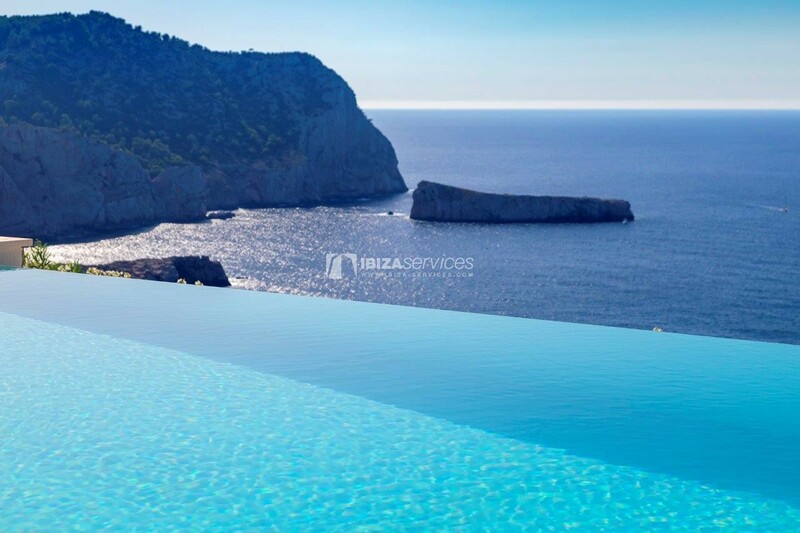 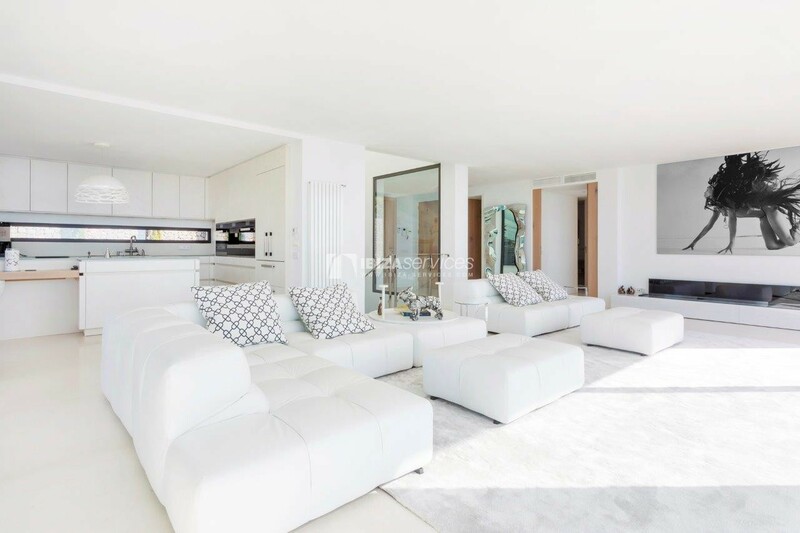 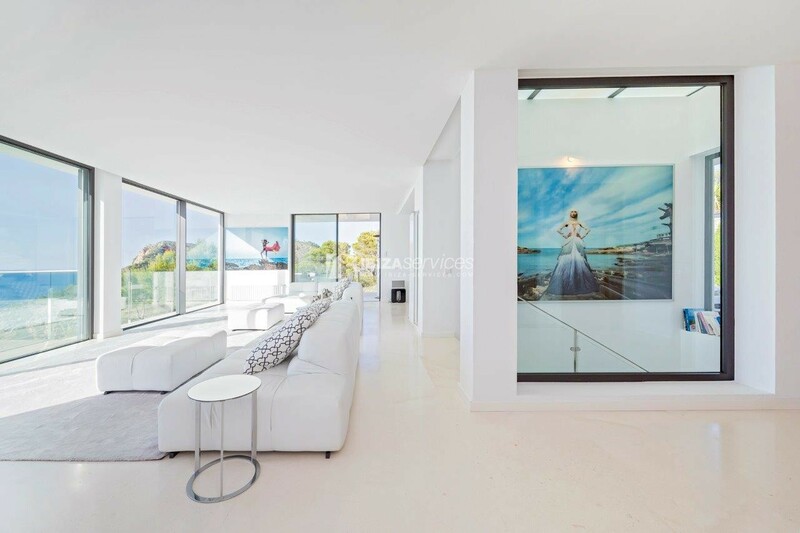 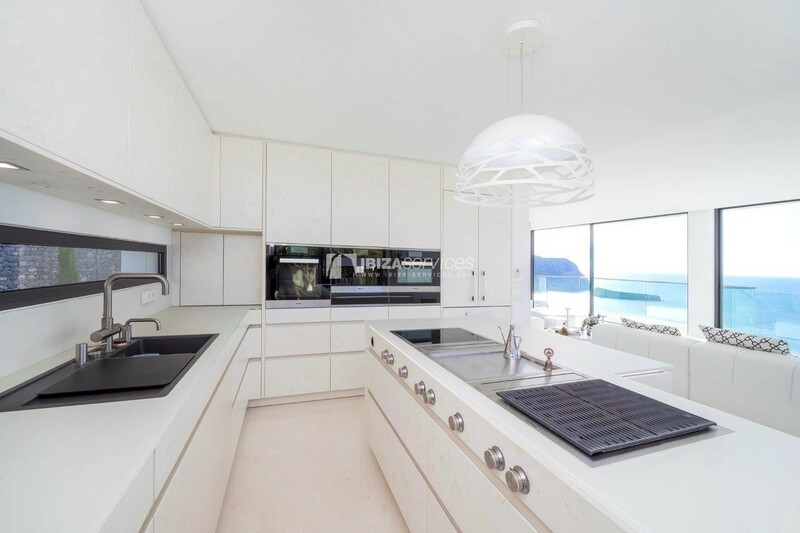 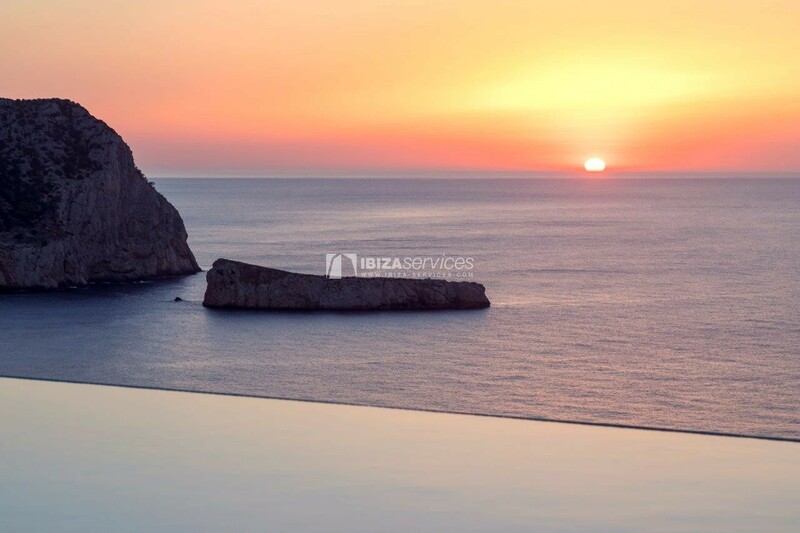 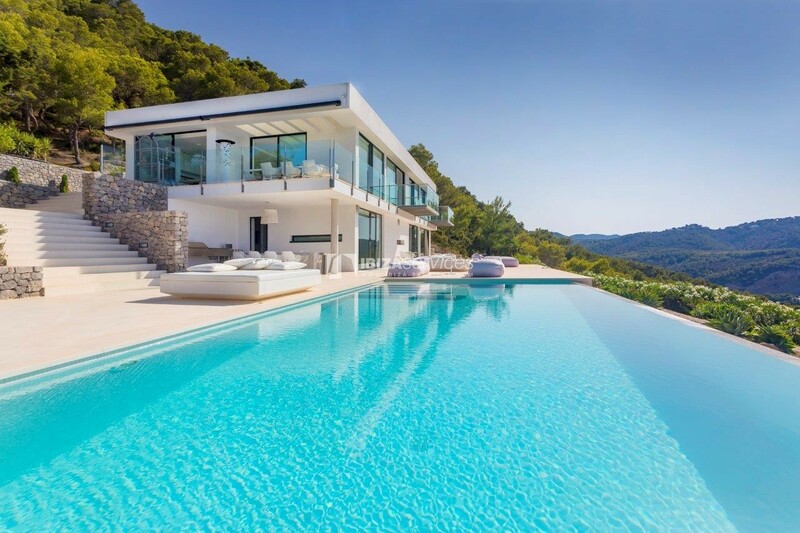 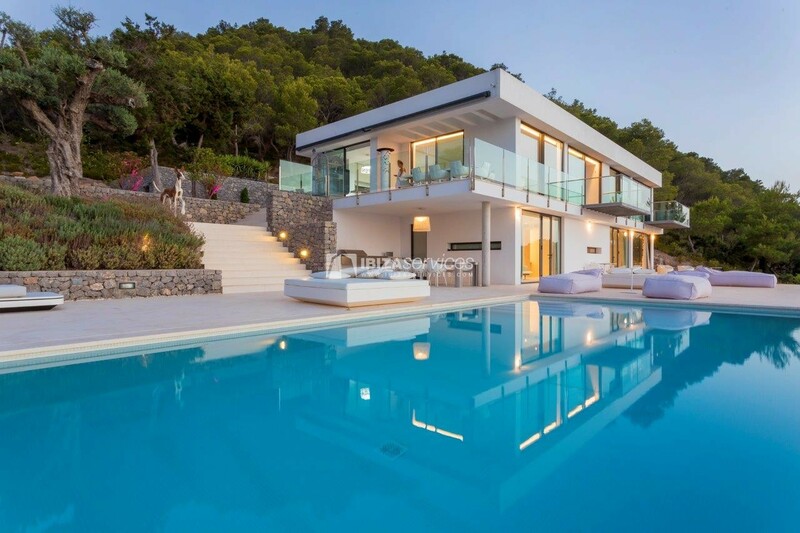 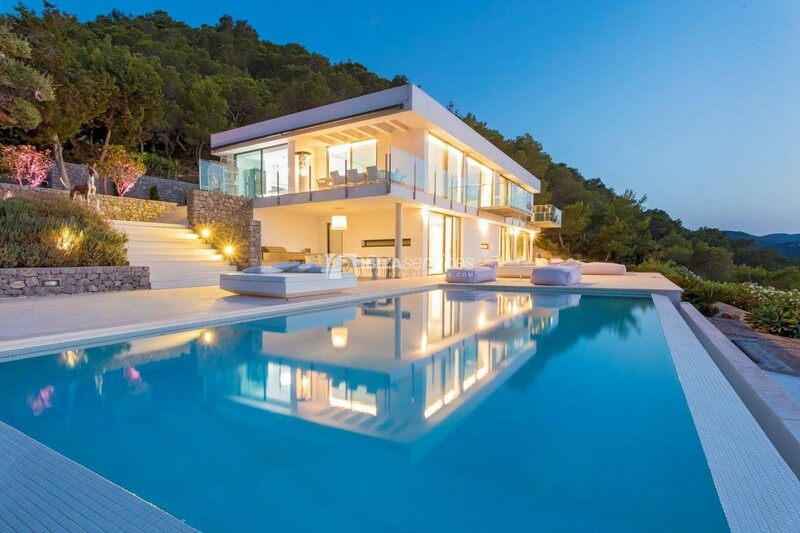 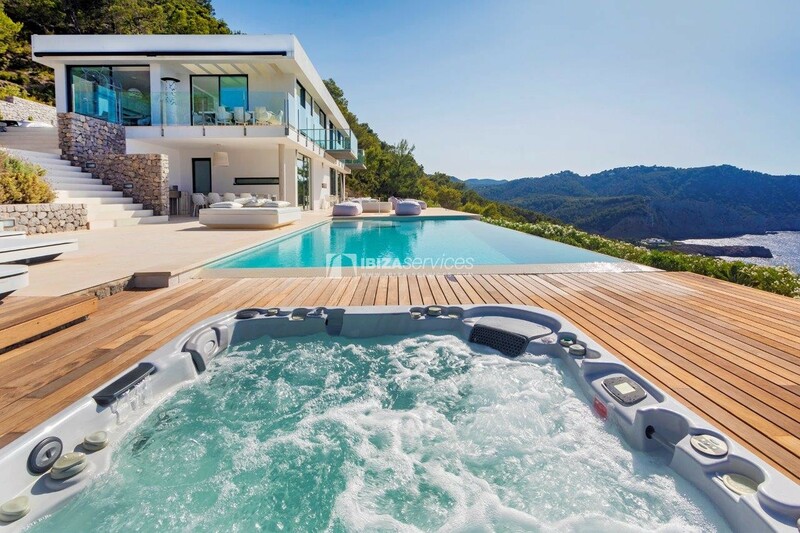 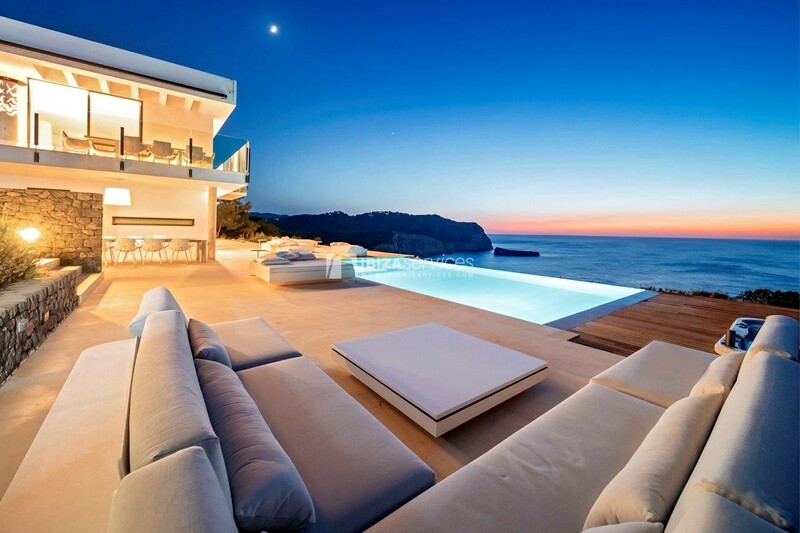 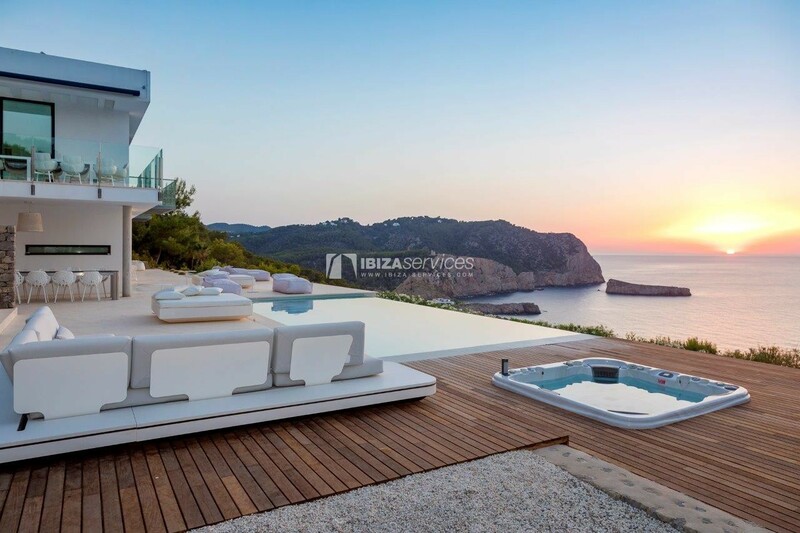 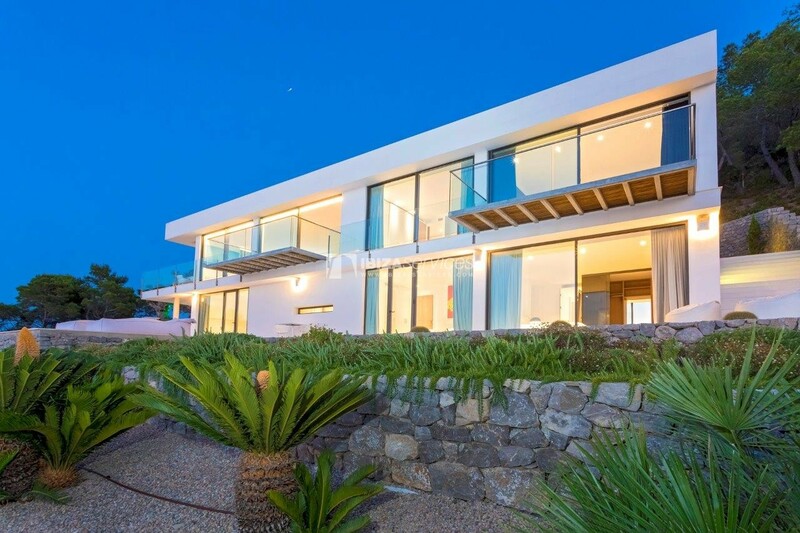 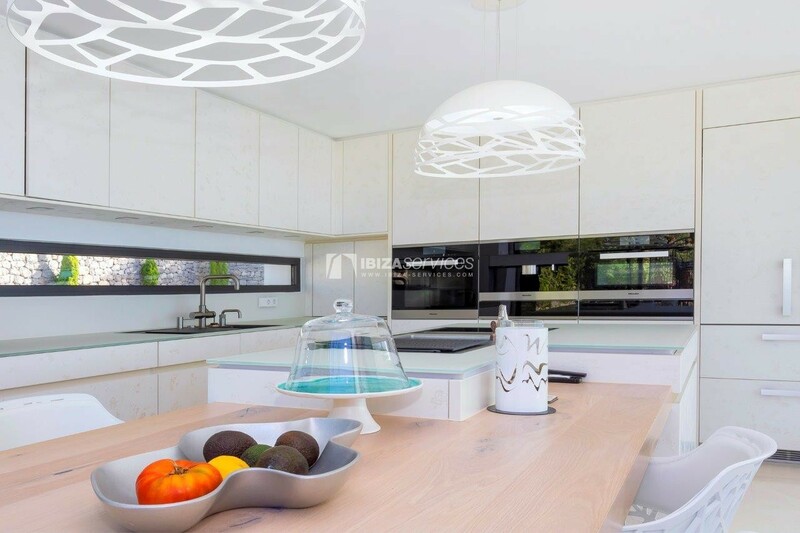 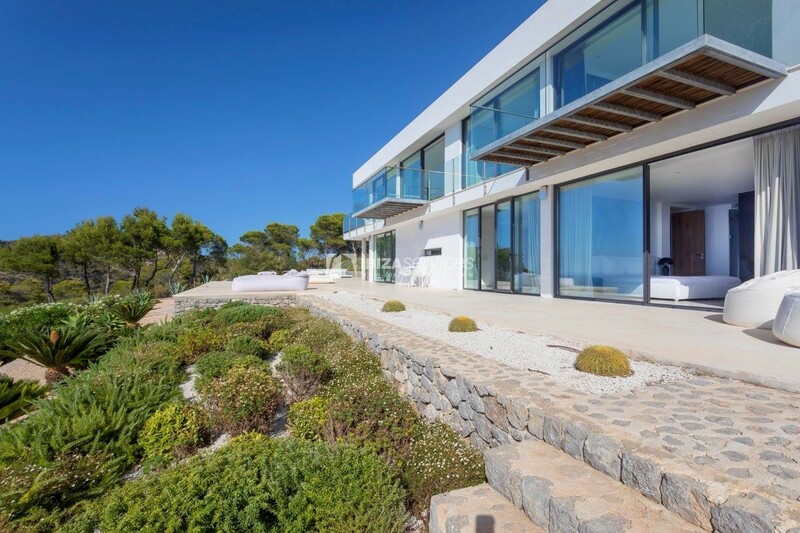 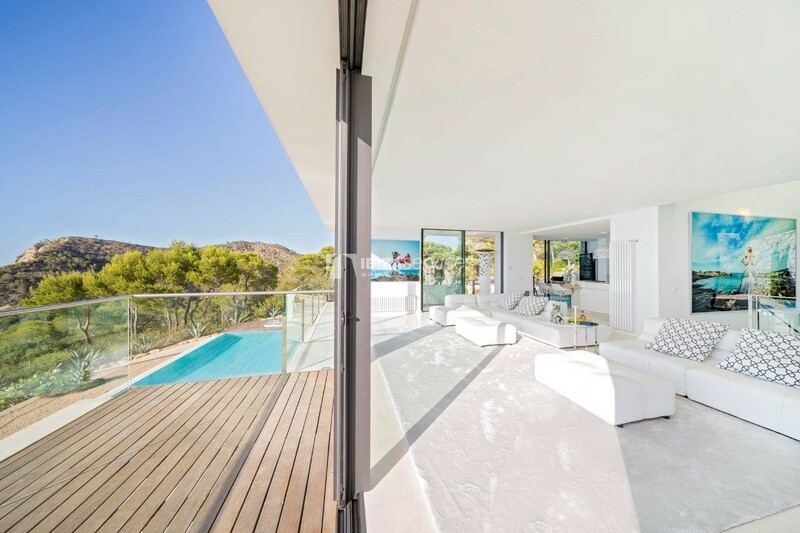 Exceptional location for this contemporary villa overlooking the sea 180 located between the Port of San Miguel and the beach of Benirras on a cliff alone and without any vis-à-vis. 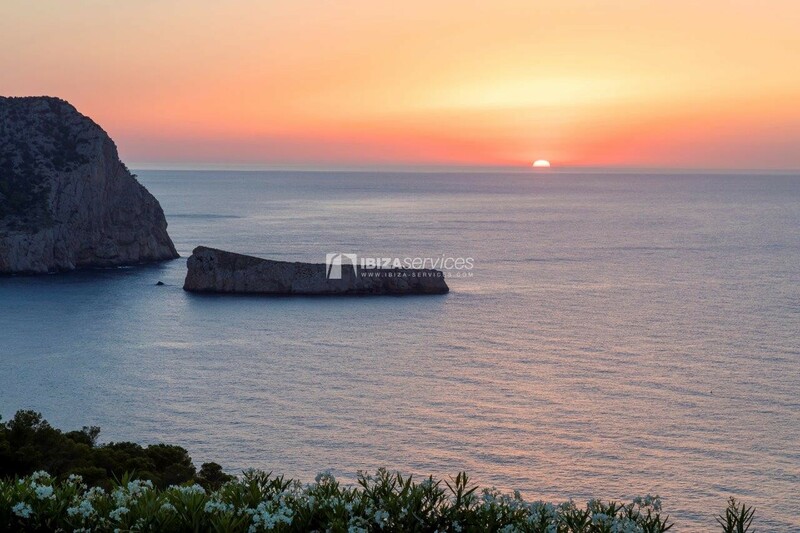 Puerto de San Miguel, a small port located on the north coast of Ibiza, is a town with families of tourists and couples looking for the placidity of the site. 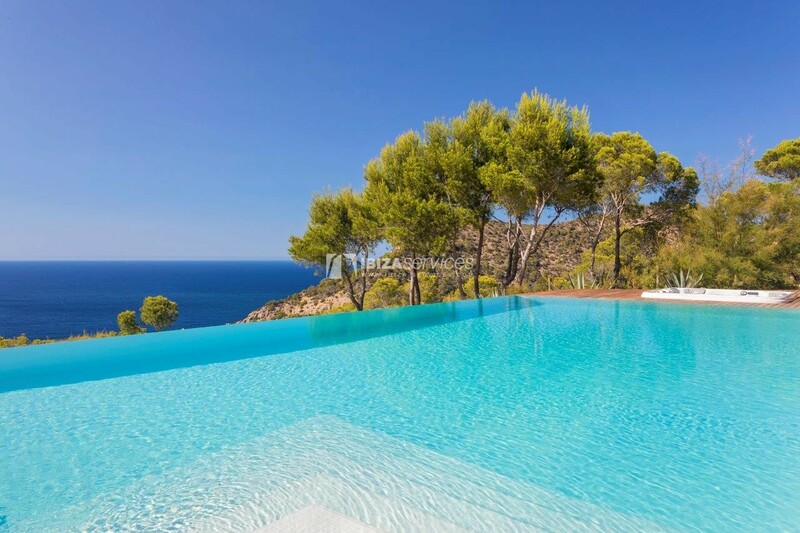 The port of San Miguel, with its pristine beach, the most protected on the island, a cove surrounded by pine cliffs is the ideal place for those seeking a quiet holiday surrounded by natural beauty. 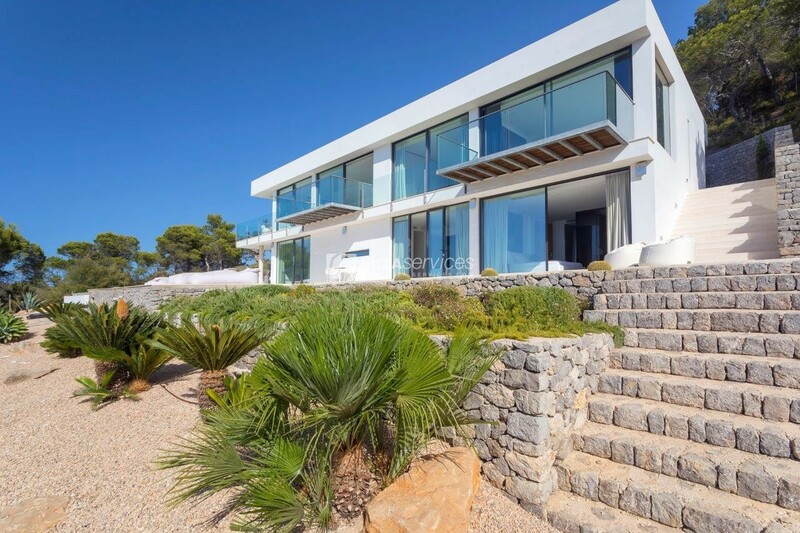 The villa is also a few minutes walk from the beach of Benirras, famous for its typical events on Sundays: the beach is full of rocks at both ends. 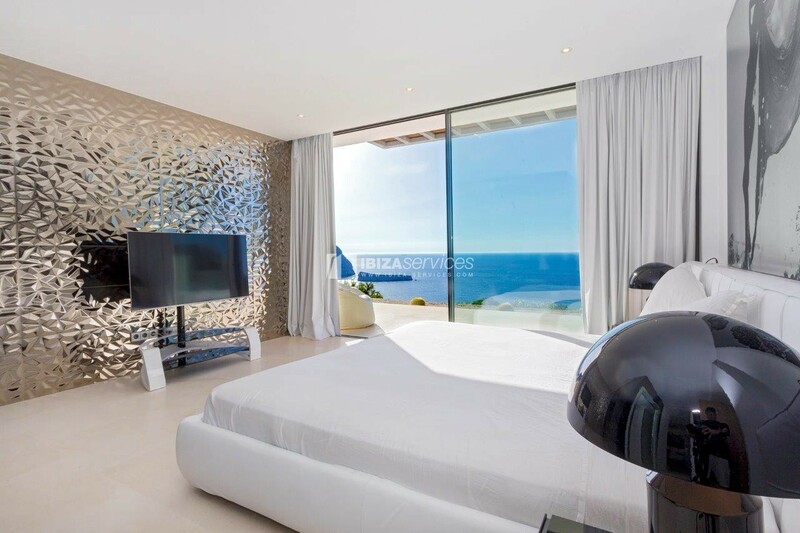 Children and adults will enjoy swimming in transparent waters. 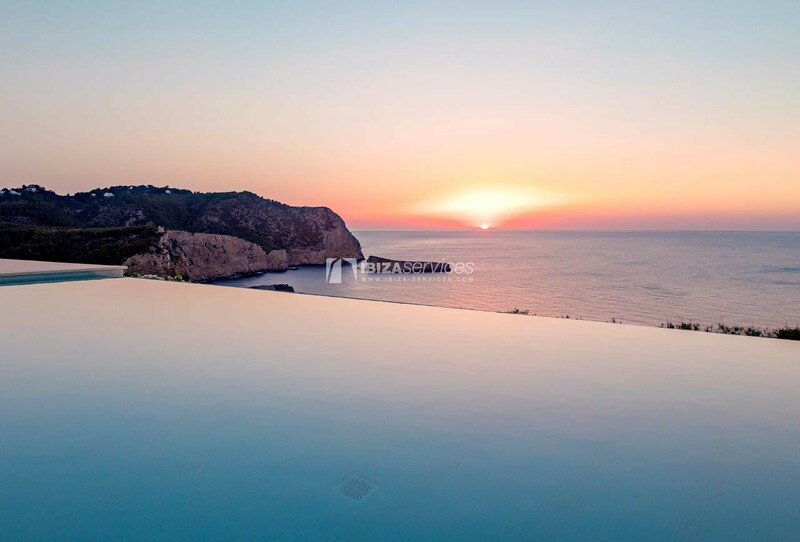 Its calm waters also attract recreational boats, which often come to anchor. 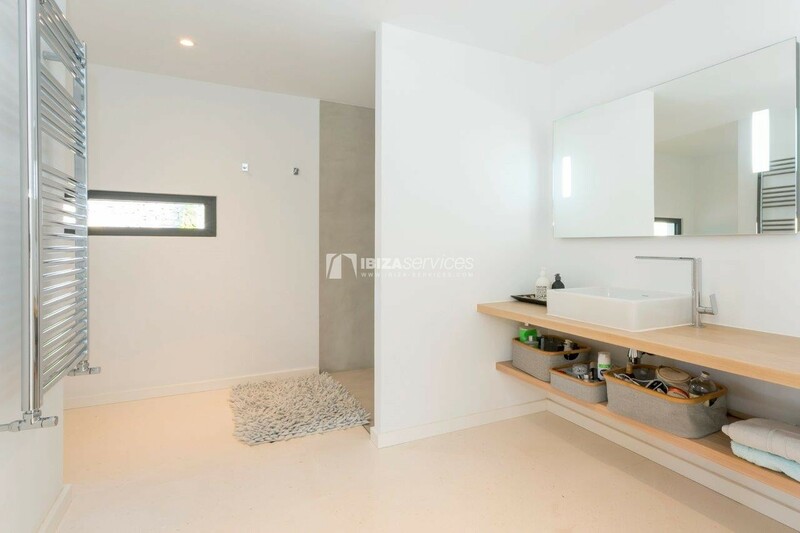 On the same level there are 2 suites, one with dressing room, toilet. 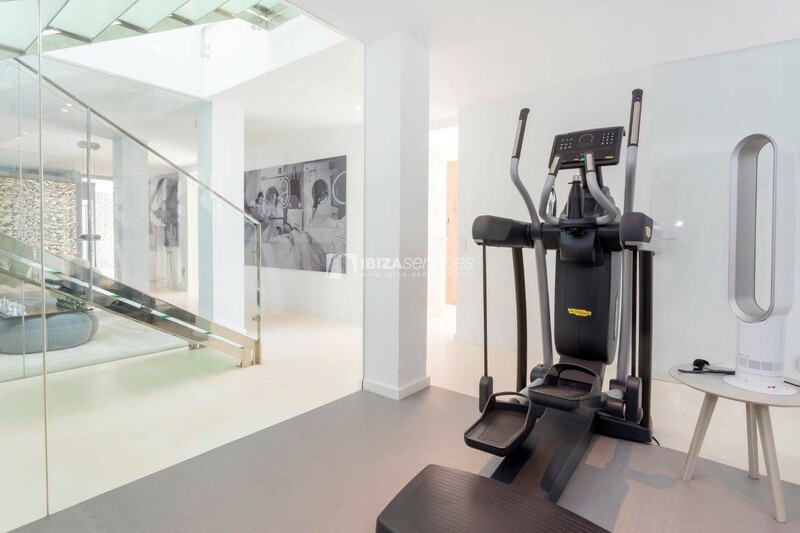 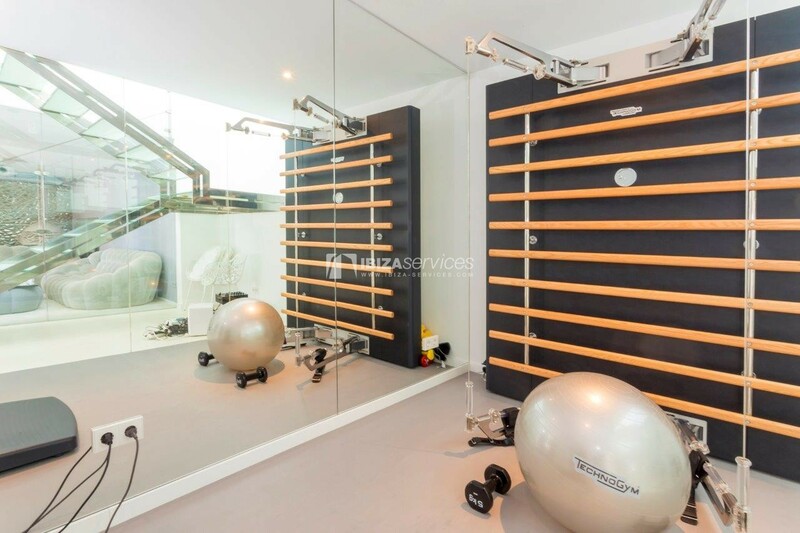 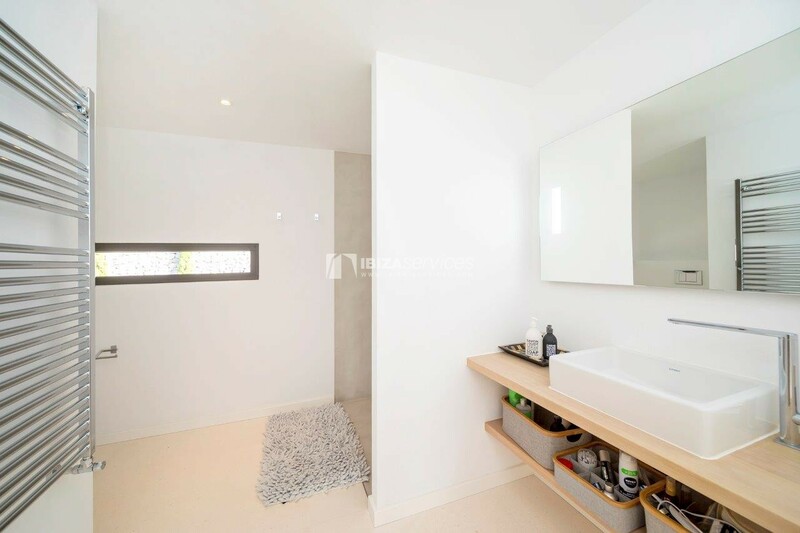 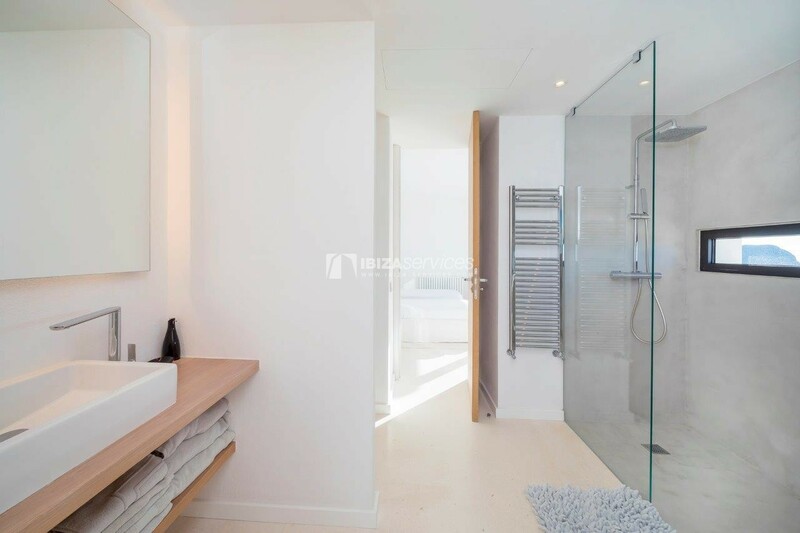 On the ground floor: fitness room, laundry room with toilet, cinema room, 2 rooms that share a bathroom and a master suite with large dressing room and bathroom equipped with bathtub and Italian shower. 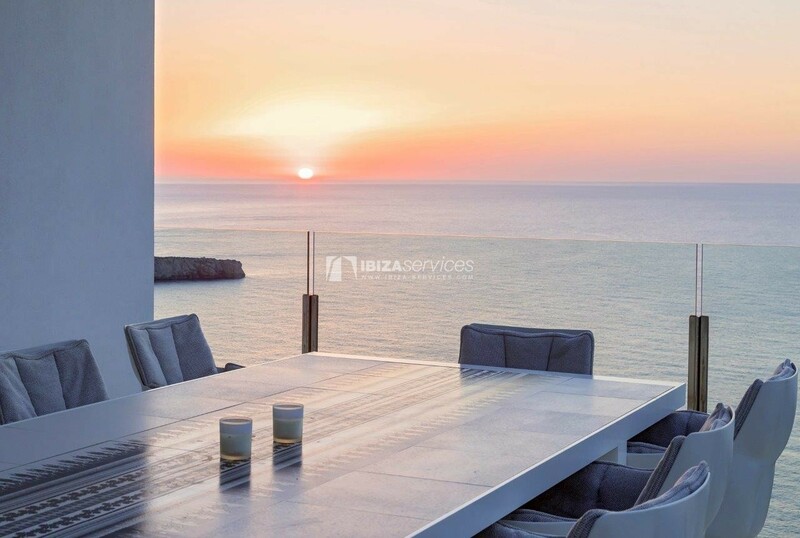 On this dream terrace you can enjoy your hammock or sofa from the breathtaking view of the sea and the sunset in the evening.